City SP, Sagar Singh Kalsi while talking to Arunachal24 said the capital police is still alert and raids are being carried out until it is totally stopped in entire capital complex. 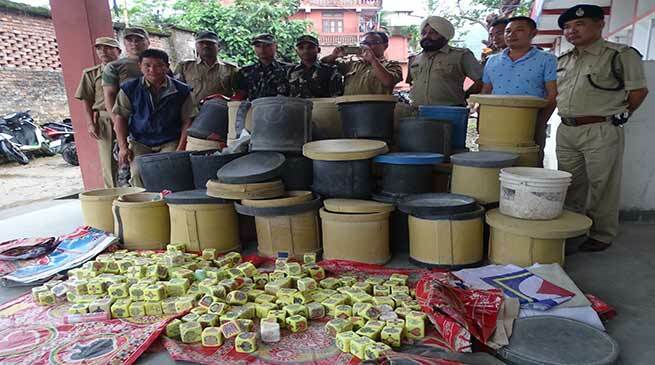 He said that capital police have seized huge quantity of gambling materials from the township. The seizure was made after the Capital district Magistrate Prince Dhawan referring the earlier state government ban on gambling vide Gambling Prohibition Act’2011 wide order LAW/LEGN-3/2010, dated 30/05/2012 and Capital DC Executive Order under 144 Cr Pc, No DC/ICC/JUD-20/2017 Dated October 2017. OC, PS Nikom Riba while said we have been implementing the order of the DM and we have registered 4 cases at Naharlagun PS and arrested 6 person while seized huge quantity of gambling materials from various location of Naharlagun township on 18th 19th and 20th October 2017. Meanwhile SP however said that all action were taken on sou-moto and no public cooperation was extended and appeal one all to extend support so that the gambling is eliminated once for all as it damaged the hard earn cash of the family and many have been suffering from it.